Jawa Motorcycles surprised everyone today by introducing the Jawa Perak bobber for a price of INR 1.89 lakh (ex-showroom Delhi). 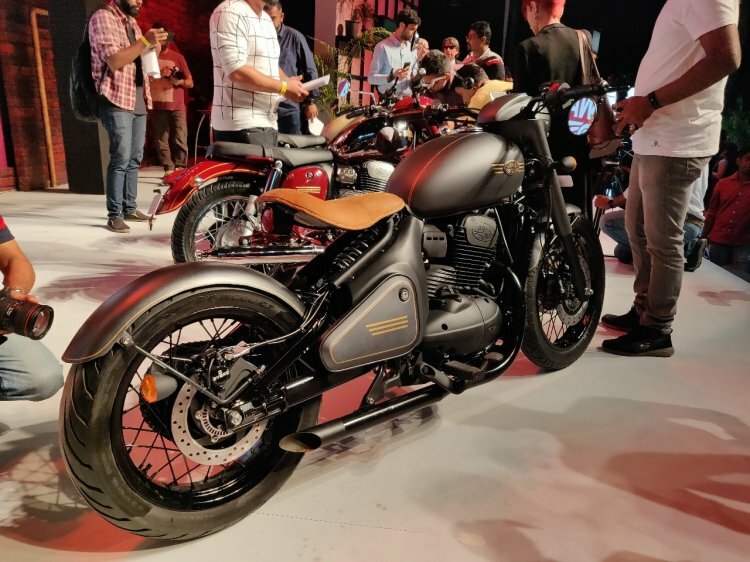 The Jawa Perak is factory-custom bobber that will go on sale in 2019. 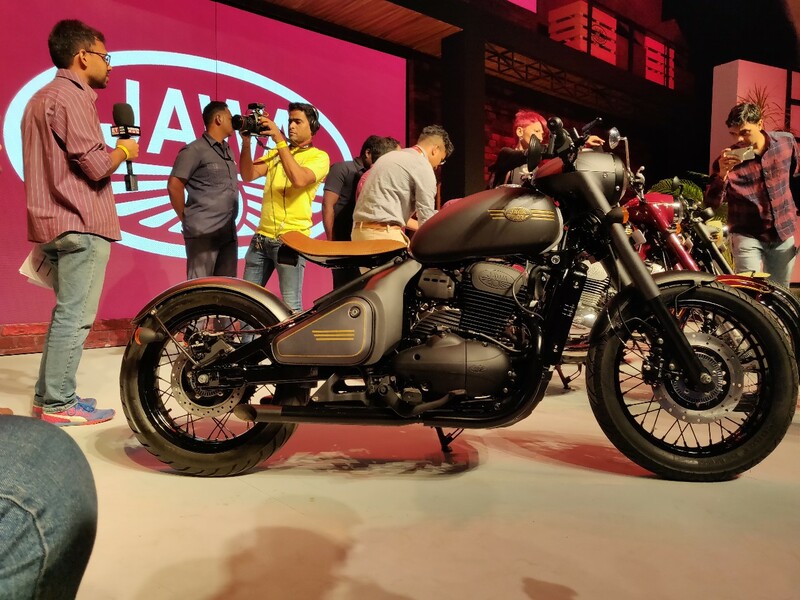 The Jawa Perak is a factory-custom bobber that will go on sale in 2019. The company has not revealed the exact launch timeframe for the Perak bobber. Apart from the bobber, the company has launched the ‘Jawa’ classic, for a price of INR 1.64 lakh and the Jawa Forty-Two that costs INR 1.55 lakh (both the prices are ex-showroom Delhi). Bookings and delivery details for the Jawa Perak will be shared at a later date. Unlike the other two motorcycles, the Perak bobber will source power from a bored-out 334 cc, single-cylinder, BS-VI compliant liquid-cooled motor that produces 30 bhp of maximum power and 31 Nm of peak torque. The fuel-injected motor transfers control to the wheel via a 6-speed gearbox. The Jawa Perak bobber features a matte black paint scheme. It is underpinned by a double-cradle chassis; however, the rear sub-frame is entirely omitted to complete the bobber look. The swing-arm and the under-seat rear mono-shock is designed in such a way that the bike seems to have a hard-tail chassis. The Jawa Perak's fuel tank and the headlight dome are borrowed from the ‘Jawa’ classic, but it features a single cantilever leather-wrapped seat. It comes with chopped front and rear fenders and an under-seat mounted taillight. The flat handlebar, bar-end mirrors and the retro turn signals augment the classic bobber design. The Jawa Perak bobber uses a 334cc, single-cylinder motor that pumps out 30 bhp of power and 31 Nm of torque. It features a dual-channel ABS unit. A front telescopic unit and an adjustable rear mono-shock perform suspension duties. Braking hardware includes a 280 mm front disc and a 240 mm rear rotor, with ByBre callipers. Dual-channel ABS is standard. The motorcycle comes with an 18-inch front and 17-inch rear wire-spoke wheel setup. The rear tyre is a Pirelli Angel CT, while the front is a Pirelli Sports Demon.